Just click on the picture to read. Darren did a great job ( ? ) backing the project. 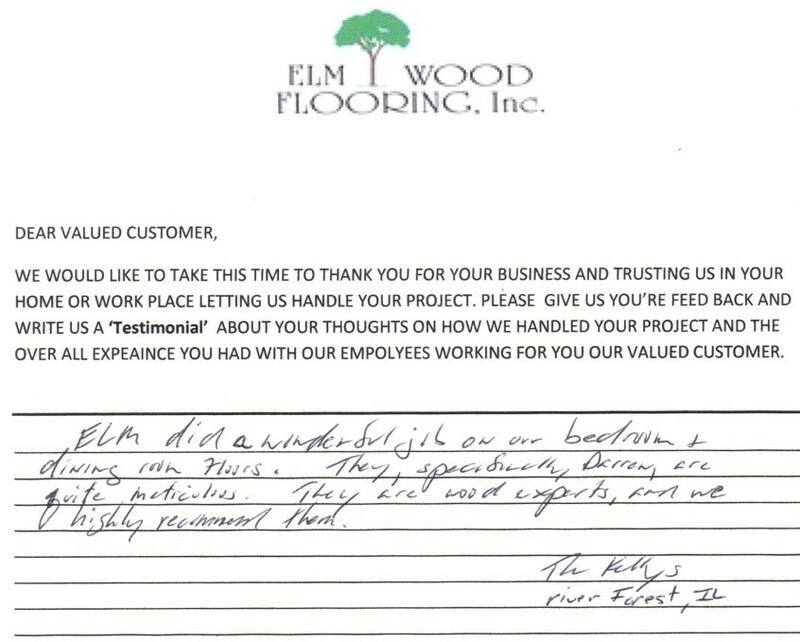 ElmWood Flooring did everything they said they were going to do, on-time and within the price they quoted. 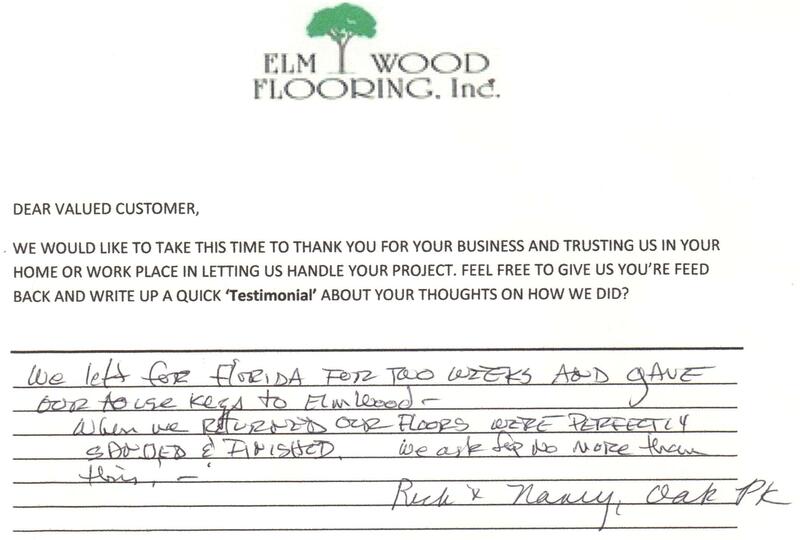 Overall , I would recommend them & use them again. 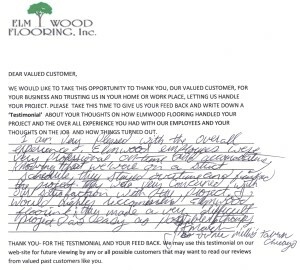 Darren did a great job communicating with us what was going on and the process of putting the floors in. would highly recommend. 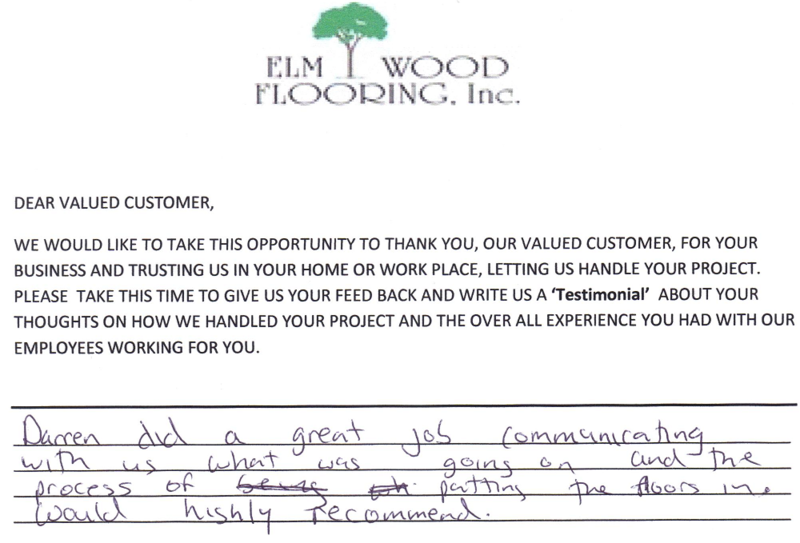 This was from a couple in the city, Andrew & Chelsey, Chicago, IL.. We had installed two rooms to match the rest of the unit, they were very pleased on how things turned out and one of many great customers of ours. 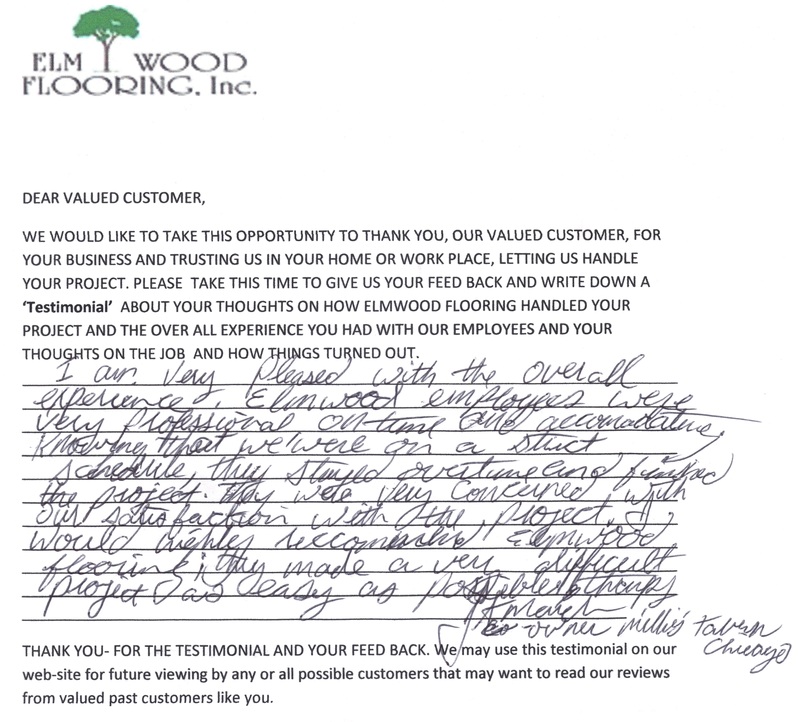 I am very pleased with the work & the professionalism that I received. 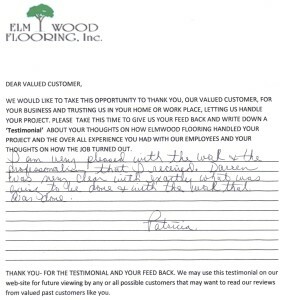 Darren was very clear with exactly what was going to be done & with the work that was done. My husband and I were very satisfied with the work. 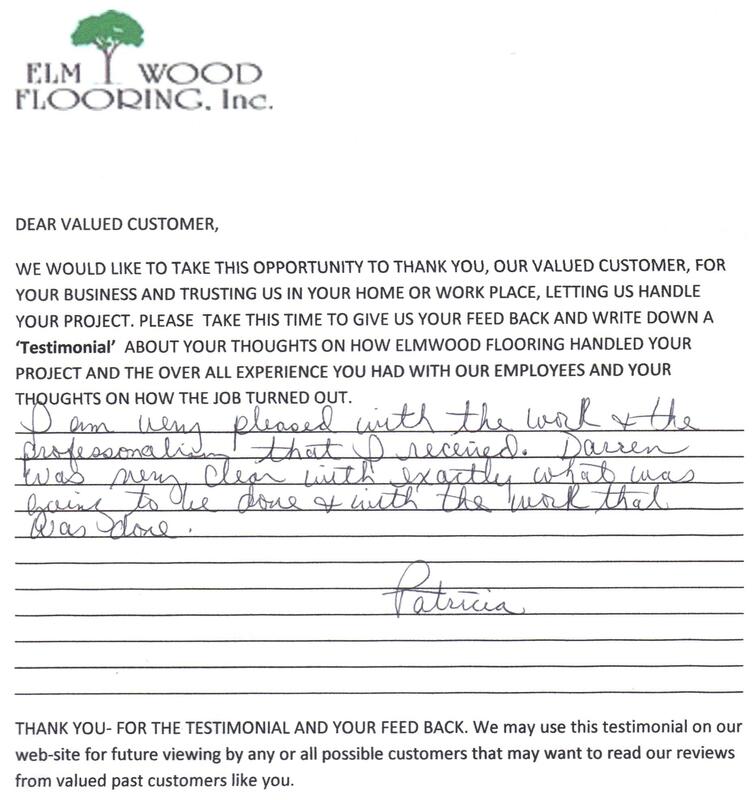 They did an awesome job and very professional. 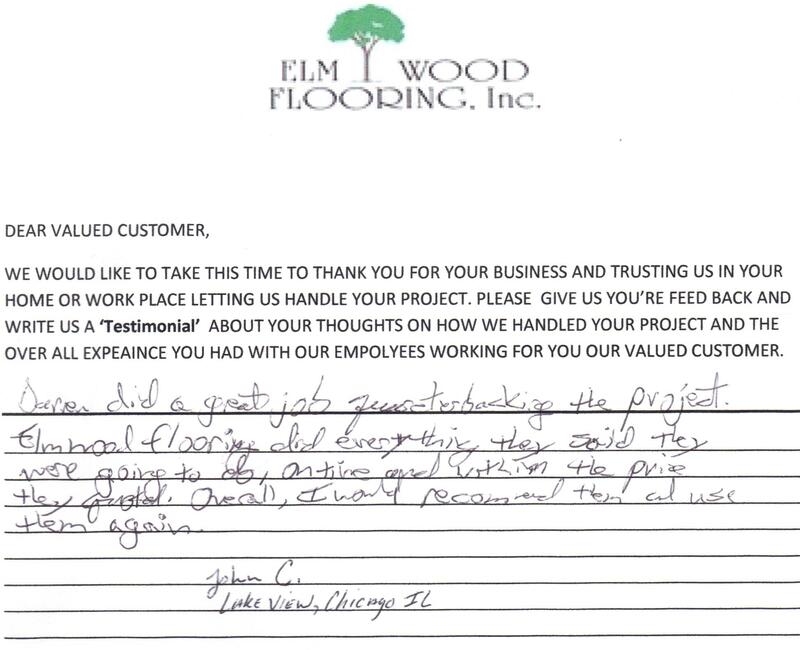 We will definitely spread the word and use Elmwood again on our future projects. Again, I can’t express enough how satisfied I am. Well worth the money we spent. MORE TESTIMONIALS WILL BE UPLOADED SOON!